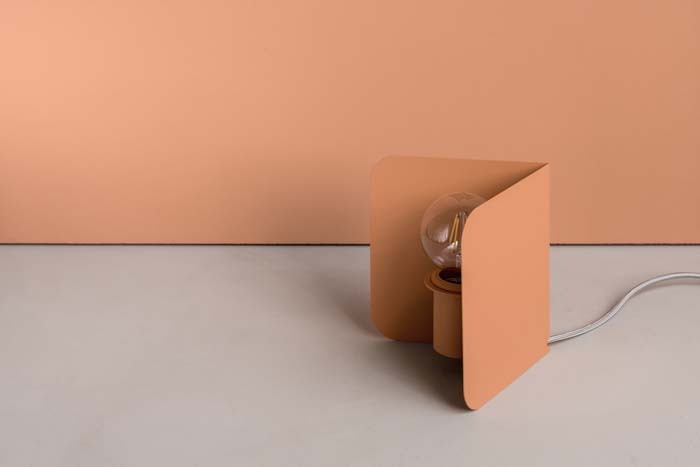 Loving these new products from Ukraine-based design firm, FILD. The collection will be featured this week at the Stockholm Furniture Fair. 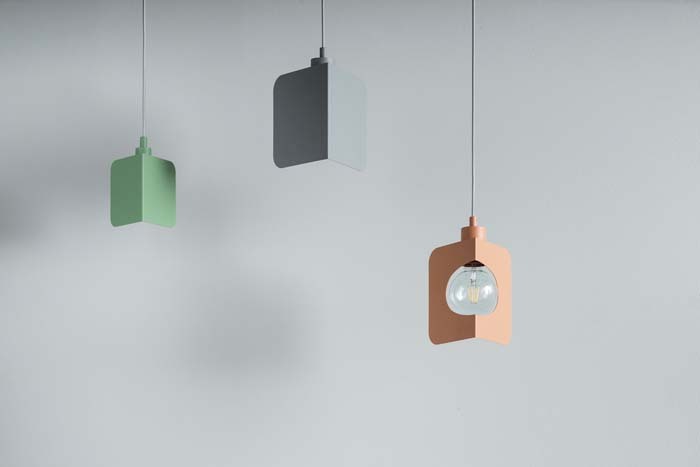 Powder coated steel in soft colours of coral, moss, grey, white and black. 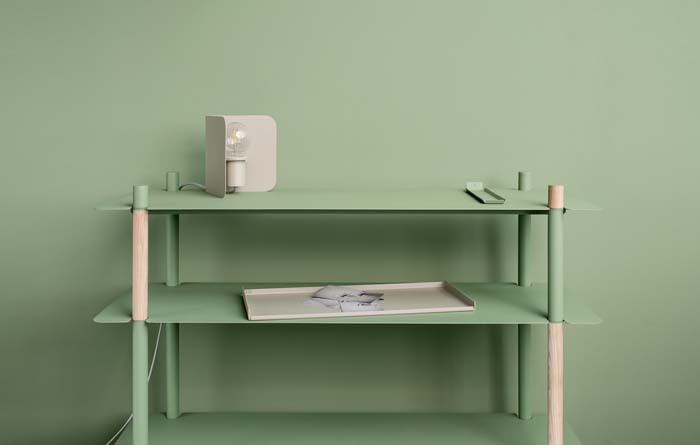 Above; corner pendant light, below corner table lamp and cane shelving unit with solid ash legs and which comes in variety of form sets and combinations.